The range is posted as "no less than 16 km" with the height at "no less than 10 km". That puts it firmly in Pantsir-S territory (unless Pantsir's range gets extended as well - which is very likely). Weight is 163 kg (heavier than Pantsir's missile). 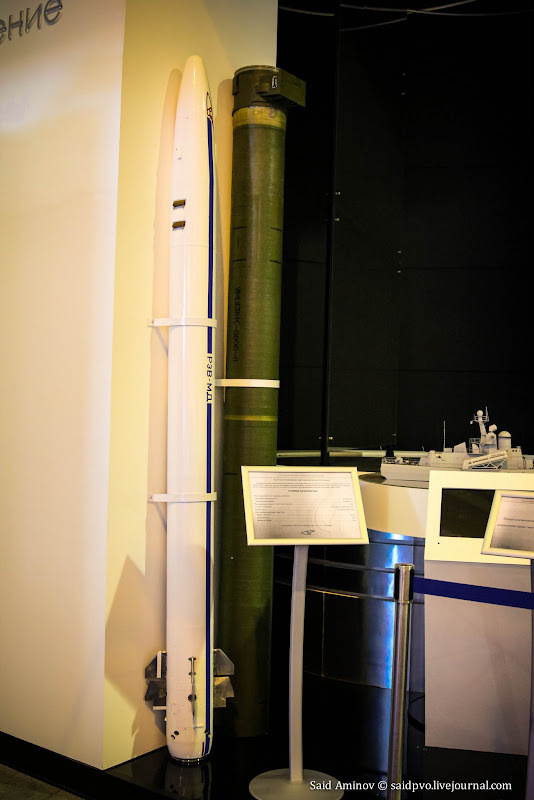 Ignore the RZV-MD missile for the new TOR system in the foreground. At the background, there is a Molniya (Tarantul) class boat armed with a different type of antiship missiles: Possibly Club or Yakhont? TheArmenian wrote: Ignore the RZV-MD missile for the new TOR system in the foreground. mack8 wrote: Something completely new (to me), RZV-MD missile. What system is it for, Morfei (guessing)?! I have the same thoughts. It could be for Morphei or its ground forces equivalent. I would say it is Iron Dome class system. MAKS-2013 from the Show Observer. Part of the material is in English. China's August 1st aerobatic team flying at MAKS 2013 air show. It's first performance outside of China. 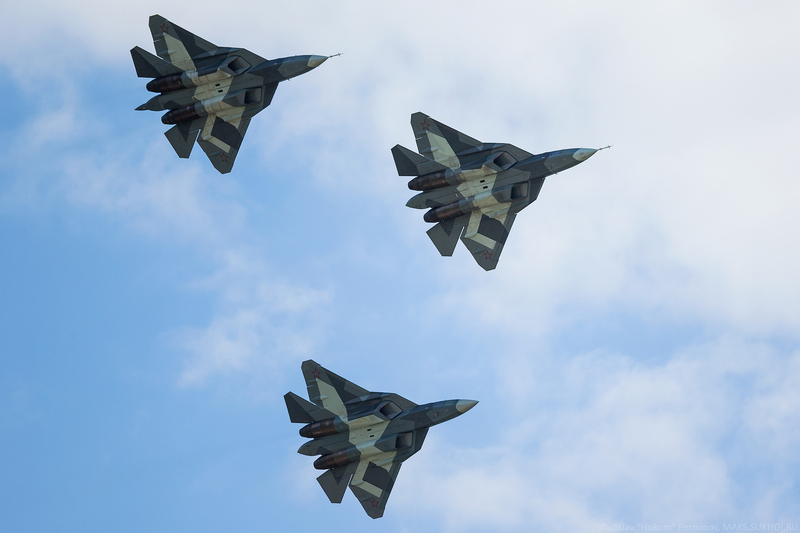 Russia is developing a fifth-generation unmanned fighter jet and a completely new missile defense system which can simultaneously engage several supersonic targets in space, it has been revealed at the MAKS-2013 airshow. The fifth-generation unmanned aircraft, weighing in at around 20 tons, takes after the T-50 fighter jet, with most of its characteristics modeled after it, Mikhail Pogosyan, president of Russia’s united aircraft-building corporation, told RIA Novosti at the MAKS-2013 show in Zhukovsky, just outside Moscow, which displayed the latest in air combat technology. “We are working in accordance with plans developed together with the Defense Ministry. At this stage this implies further preliminary testing. The current stage is largely based on the technological breakthroughs we have achieved in the framework of the ‘fifth generation’ program,” Pogosyan told the Russian ITAR-TASS agency, in reference to the upcoming drone. 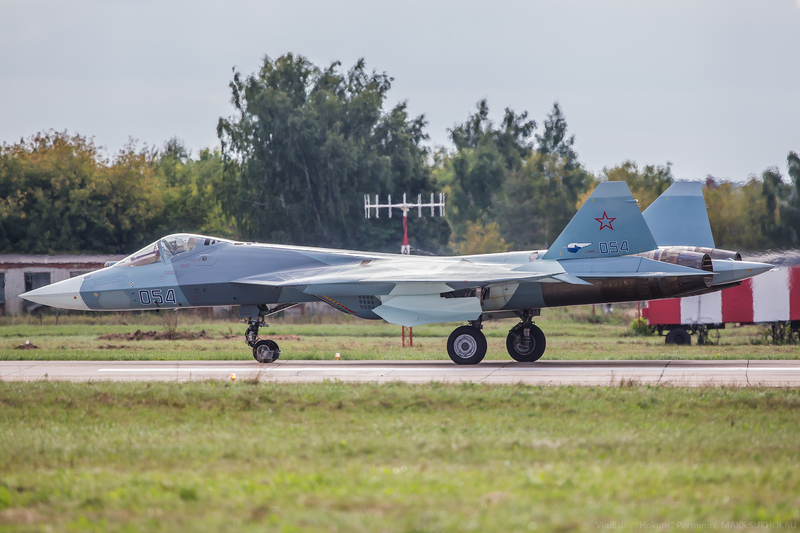 With a fifth-generation PAK-FA heavy attack jet already developed and planned to enter service in 2016, Russian aviation is also looking to the future of air combat, conducting research and development for aircraft that can dominate airspace by the mid-21st century. The news comes on the heels of a Thursday announcement by the Russian aircraft construction corporation, which signed a $90 billion deal with the Defense Ministry. Under the contract, the ministry will have its technology and equipment built and serviced by Russia’s aircraft builders for the next three years, Pogosyan said at the MAKS-2013 show. National media reports that on top of the new deal, another $3 billion contract has come into effect, stipulating, aside from the servicing of equipment, that the Defense Ministry shall receive 65 new fighter jets by the end of 2013. Another exciting development in the Russian high-tech weapons market is the possible 2017 launch of the promising S-500 anti-aircraft missile system. The Friday news comes courtesy of a top Ministry of Defense figure, speaking to ITAR-TASS. “A promising anti-aircraft missile system S-500 is being designed now,” the source said. “The Armed Forces may have it in 2017.” The special feature of the formidable new lineup is the ability to lock on to and engage multiple targets in space, never allowing them to reach Russian airspace. Moscow has been making attempting leaps in combat technology – especially missile defense – given the uneasy international climate it finds itself in currently. The plan for a better missile defense is a direct answer to the United States’ idea for a missile shield in Europe, which it says is for defensive purposes against unpredictable regimes such as Iran and North Korea. Russia is not feeling very secure with the proposed system to be so close to its territories. Aside from the pursuit of fifth-generation technologies, Russia is also actively developing an unmanned sixth generation aircraft, said a former Air Force commander. Unlike NATO allies who will use American F-35 5Gs, self-sufficiency is an absolute must for Russia, said the commander, so 6G evolution is inevitable. With regard to missile defense, Russia is currently using the S-400 Triumph, which has a range of 400 kilometers. Russian President Vladimir Putin says the Armed Forces are to acquire 28 systems from the current lineup over the next 10 years. ZHUKOVSKY /Moscow region/, September 1 (Itar-Tass) - During the business part of the International Aviation and Space Show /MAKS/, aviation producers have signed contracts on supplies of new equipment worth over 15.7 billion dollars. The price does not include earlier leasing contracts on supplies of aircrafts and helicopters. The leading company in sales was, as expected, the United Aircraft Corporation /UAC/. Its part, the Sukhoi Corporation, signed agreements and contracts on 52 Sukhoi SuperJet 100 aircrafts, and another 50 aircrafts are reserved for a new leasing company, organised by Sberbank and the Sukhoi Corporation. The Irkut Corporation added another 82 jets to its portfolio of orders for MS-21. The deals’ price is almost 6.7 billion dollars. The Vertolety Rossii /Helicopters of Russia/ Company, which is a part of Oboronprom /controlled by the Rostech state corporation/ signed agreements on supplies to Columbia of five Ka-62 and five Mi-171A1 helicopters. A Ka-62 helicopter costs about ten million dollars, and a Mi-171 - about 17 million dollars. Thus, the deals may be worth 135 million dollars. Canada’s Bombardier signed several agreements with the Rostech state corporation on selling to Russia at least 100 Q400 NextGen turboprop aircrafts. Half of those will be produced in Russia at a joint venture in Ulyanovsk. The contract’s price will be about 3.4 billion dollars. Russia’s Transaero and Engine Alliance /a joint venture of General Electric and Pratt & Whitney/ signed a contract on supplies of engines for four planes Airbus-380. The price of GP7200 engines plus the work cost under the agreement is over 500 million dollars. There have not been announcements about supplies of new military aviation equipment, but, Head of the United Aircraft Corporation Mikhail Pogosyan said the corporation’s enterprises had signed several service contracts for the Defence Ministry with a total price about three billion dollars. Besides, the Radio-Electronic Technologies Concern during the International Aviation and Space Show signed a contract with the Defence Ministry on design of a Khibiny-U onboard radio electronic complex for Su-30SM. The contract’s price is about 50 million dollars. The MiG corporation /a part of the United Aircraft Corporation/ has two additional contracts with India’s Basant Aerospace Privet Limited worth 55 million dollars in the framework of the general offset contract with India’s Air Force. The aviation show’s business part is over, and through to September 1 the show will welcome the public. Contracts for a total value of $ 21.2 billion were signed at MAKS 2013, reported on Sunday CEO of “Air Show”, Alexander Elizarov to reporters. He recalled that during the last MAKS, value of the contracts was about $ 16 billion. Commenting on other achievements of the air show, Elizarov recalled of the number of participants. According to him, more than a thousand companies and organizations, including 289 foreign companies from more than 40 countries took part in the air show. Closer picture of the Molniya (Tarantul) from previous page. It looks like Club/Kalibr missiles. But I am not sure. The hemispherical radar behind the bridge could be part of the guidance system....or it could be naval Morphei??? More and more pictures are being posted there. I recall that in the past the Soviets made sure that there combat aircraft had a similar or identical cockpit layout, i was wondering if this practice is still continuing in Russia today? 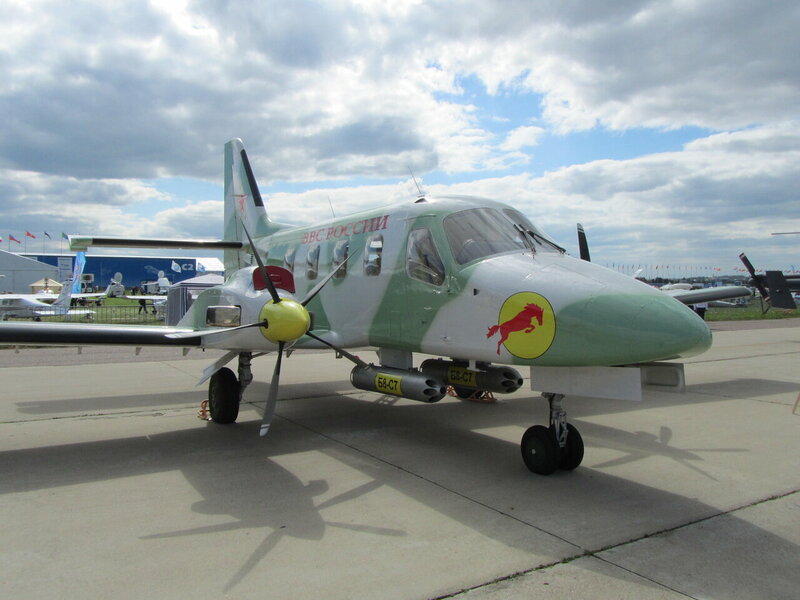 The total value of contracts signed during the five days of the international air show MAKS-2013 totaled $ 21.2 billion, the general director of "air show" Alexander Elizarov. "This year (was concluded contracts), $ 21.2 billion," - he said, recalling that at the last MAKS amount of contracts amounted to about 16 billion dollars, reports ITAR-TASS . 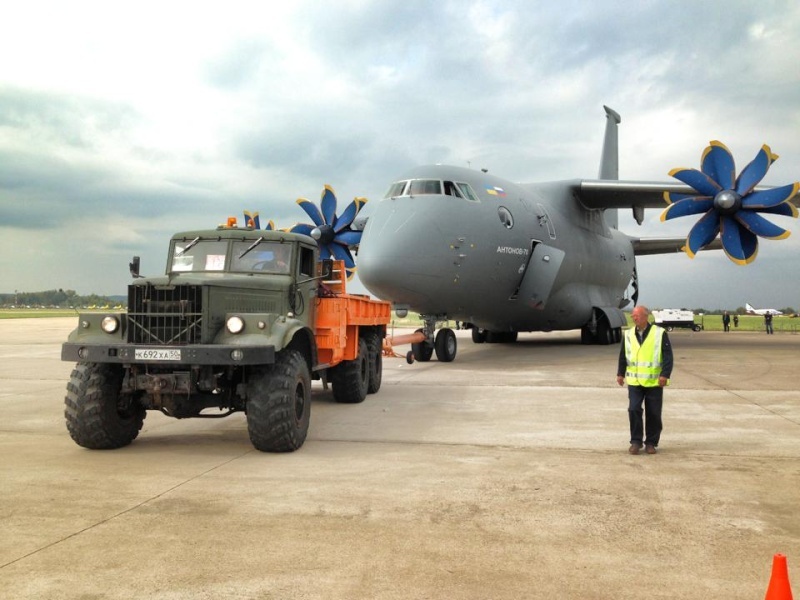 As reported, the largest military agreement this year KLA began a three-year contract maintenance of aircraft, located in the operational management of the Ministry of Defense. A cost of $ 3 billion. A vast majority of new orders for the Russian civilian aircraft had to SSJ-100 and MS-21. Speaking about the achievements of other air show Elizarov called the number of participants. "More than a thousand companies and organizations, 289 foreign companies from more than 40 countries around the world," - said the head of the company, noting that "these indicators MAX has grown." Note also that the MAX five days of his work was visited by about 300,000 people. And on Saturday the airshow and did set a record in the history - the day, despite the bad weather at the airfield in Zhukovsky, visited by more than 150,000 people. Note also the belly mounted twin barrel cannon... and it looks like it can be depressed. As far as I know the cockpits have unified displays whereever possible, but some aircraft have different MFDs of different shape, size and number. What is the verdict now that the show is finished? At 12.1 billion $ there were certainly big orders*, but civil models are far from getting contracts comparable to Western manufacturers. At least production is assured for Tu-204SM. 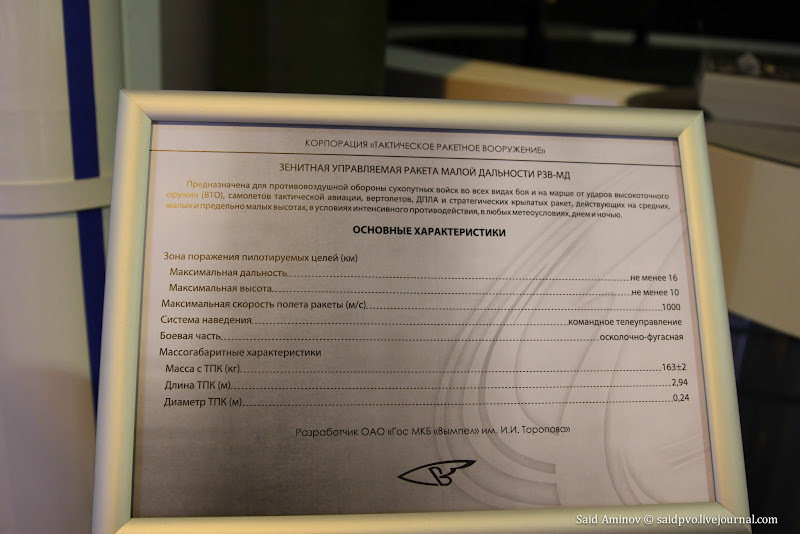 Few orders for An-158, but more for MS-21 and SSJ. * MAKS 2009: 7.6 billion $. MAKS 2011: 5.7 billion $.